• Final Fantasy 5 – Having not been released outside of Japan during the lifespan of the SFC/SNES, Final Fantasy 5 was an enigma to non-Japanese gamers for a long time. 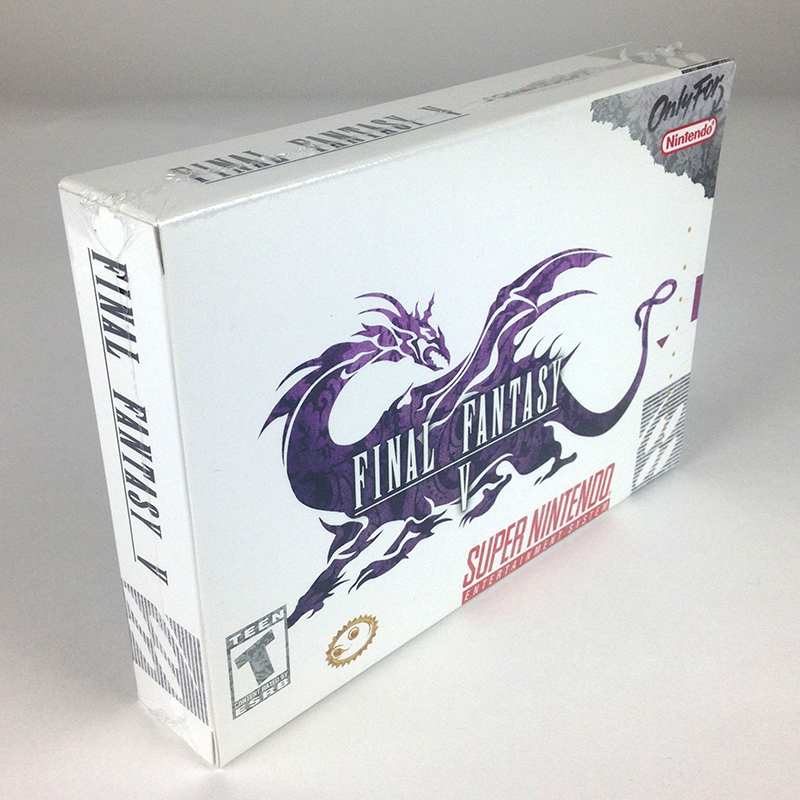 Though it was eventually released in the US on newer consoles, many of us have yearned to complete our SNES Final Fantasy library with an English language copy of this amazing installment to the Final Fantasy series, and now you can! Join Bartz and his friends on an epic journey spanning the globe in an attempt to stop four mystical crystals from shattering, with a character-customizing Job system that some consider to be the “father” of similar RPGs to come. The game begins as a wanderer named Bartz investigates a fallen meteor. There, he encounters several characters, one of whom reveals the danger facing the four Crystals that control the world’s elements. These Crystals act as a seal on Exdeath, an evil sorcerer. Bartz and his party must keep the Crystals from being exploited by Exdeath’s influence and prevent his resurgence. Final Fantasy V has been praised for the freedom of customization that the player has over the characters, achieved through the greatly expanded Job System. Despite the lack of an early release in territories other than Japan, the Super Famicom version sold more than two million copies. The PlayStation version has earned “Greatest Hits” status, selling more than 350,000 copies.